Designed by Ritva Puotila, the stripy paper yarn carpet collection has been enhanced again with a new design Beach. The carpets are divided into two sections: the beach and the water. The smaller colour area is 30% and the larger is 70% of the length of the carpet. 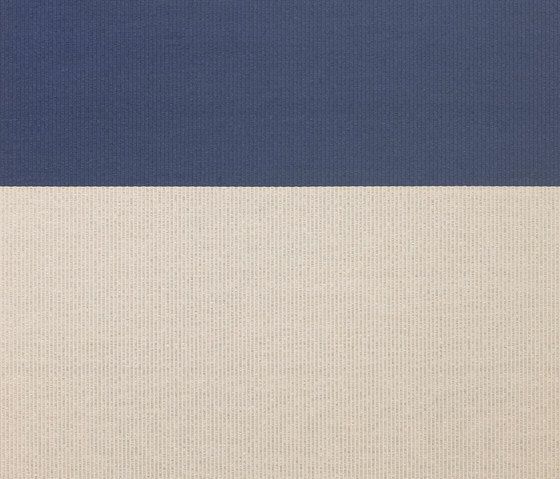 There are seven colour variations in the Beach carpets and two new paper yarn colours are introduced: blue and plum. The new carpets are available with sewn edges and thin turned ends as well as with edging and backing. The Beach carpet is an interior innovation award winner 2012. Material: 86% paper yarn (weft), 14% cotton (warp) Weight: Approx. 1,90 kg/m2 Suggested application: residential and light contract Sizes: Carpets are supplied to order Depending on the finishing of the carpet the maximum width is 250-330 cm and the maximum length is 5-10 m Features: Due to the tight weave, carpets do not ignite easily Antistatic. Suitable for persons with allergies.